Deron and I are not new to keep fish. 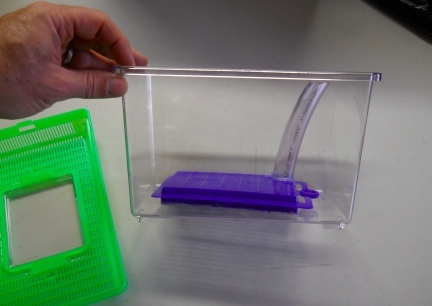 Deron had, what I thought, were great ideas to take a "Kritter Keeper" and make it into a mini aquarium. I took photos along the way and will add them very soon. 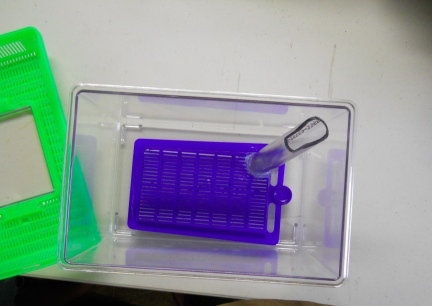 This is an inexpensive way to set up a Betta or other fish, please do not overcrowd keepers, so that the keeper is filtered and aerated. 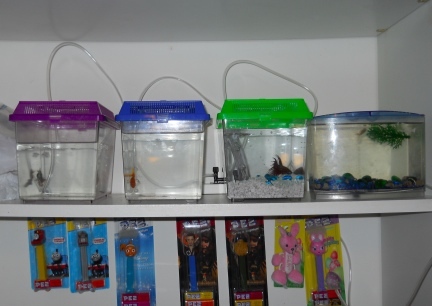 We have a few keepers using the same air pump, but they are not sharing the same water. The way this is set up I can easily lift the top off the keeper with the air tube and train. 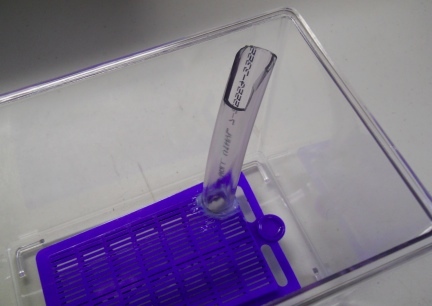 When returning the keeper to the shelf, the air tube slides easily back into place. The contents of this page for Filtered Fish Bowls is still under construction. Please check back later!